New Act Travel opened in Century City in 1993. The philosophy was to establish a full service agency of highly knowledgeable agents who would service corporate, entertainment, and leisure accounts with accuracy and a personal touch. Over the past 10 years, New Act Travel has expanded to currently include locations in Encino, California, Las Vegas, Nevada and Atlanta, Georgia with over 90 highly qualified agents, specializing in many different areas. We enjoy yearly gross sales that allow us the clout and ability to negotiate the best for our clients, while still maintaining the highest level of service that you, the client, have grown to expect from your travel professional. Lili is on Facebook! xoxoxoxo! Deena Whitesman and New Act Travel rock!! Congratulations! We are so proud to know our own Santa Clause. He is a supper nice person throughout the year and during the holiday season he shares his kindness with others. As one of the nation’s largest travel management companies, New Act Travel’s 150+ travel consultants serve more than 1,000 clients. Last year, we achieved over $200 million in travel revenue. New Act Travel will provide your company with world class service. We are experts in travel management, saving you time and money, while giving you peace of mind. Our team consists of proven veteran travel experts, Fortune 100 corporate travel managers, and agency operations experts. 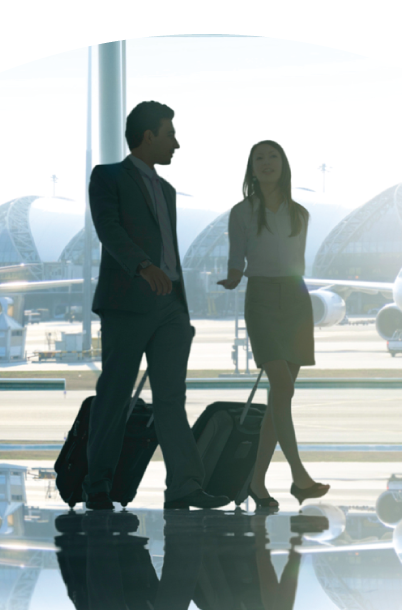 Our international and domestic agents average 20+ years experience in travel consulting. We love what we do and we take the success of your travel program personally. With offices in Los Angeles, Encino, New Orleans, Dallas and Atlanta, New Act Consists of over 150 travel consultants servicing over 1000 unique clients on an annual basis. Annually, our brand portfolio accumulates more than $200M in combined travel revenue. We are proud to be able to lean on this exposure for our clients' benefit. Online Booking and Automated Travel Approval, Quality Control, Consolidated Corporate Reporting and Analysis, Travel Security, Fulfillment and Compliance, Ticket Auditing, and 24/7 Global Support. Unparalleled customer service is the key to our success. We love what we do and we take the efficiency of your travel program personally. Our international and domestic agents average 20+ years experience in travel consulting. We have deeply bedded relationships that we leverage to maximize your negotiating power. Our strong relationships are the type that are built over 24 years of dedicated service in the travel industry. New Act Travel isn't just another landing pad for travel professionals. We foster a creative, solution oriented environment where our team and IC's alike can lean on their peers in a collaborative effort for the success of one another. Copyright New Act Travel © 2019. CST: CT2043750-50. Registration as a seller of travel does not constitute approval by the State of California. An entrestorm collaboration.